I took full advantage of being able to run outside in the warm weather while I was in Florida. It was fun to run down unknown paths and streets behind my hotel. Like most people who run or walk, I love to observe new scenery to break up the monotony of the routine. 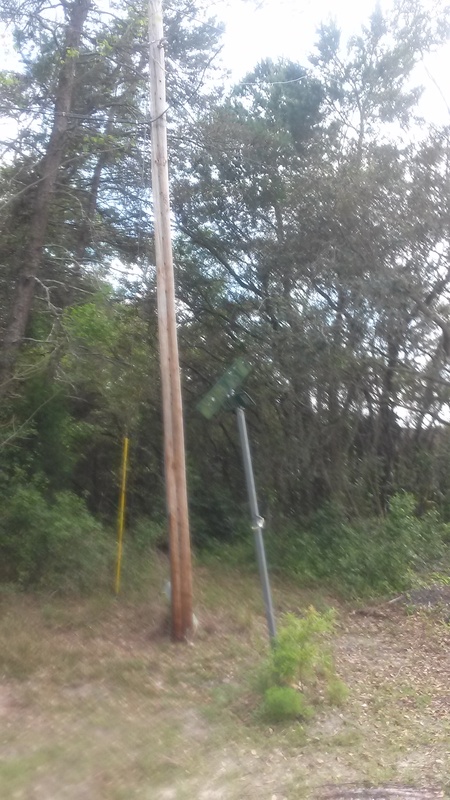 I turned down a street where a yellow sign reading “dead end” put me on notice that it was leading to nowhere special. As I came to the end of that street, tucked away on a curve was a no longer utilized street sign. 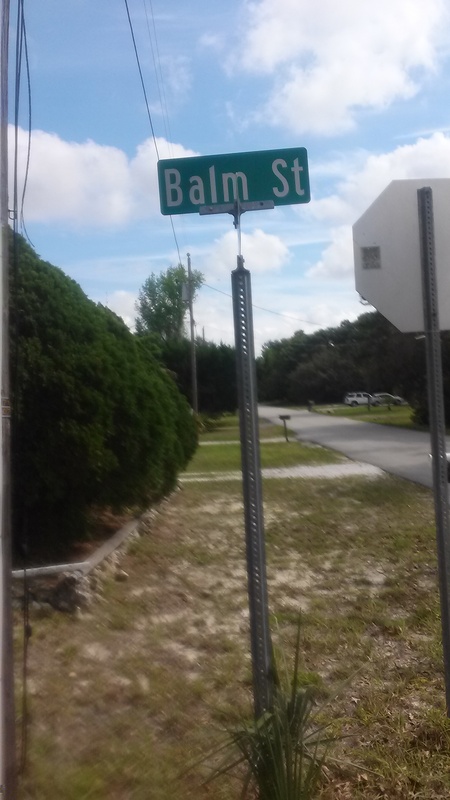 As I got closer to examine it’s name, I could barely make out the words, Balm st. The sign was so dirty and worn from the weather. It obviously hadn’t been needed to point anyone in the right direction for many years. What happened to Balm street? Did it no longer serve it’s purpose in the community? Was it an area unsuitable for re-building after a storm? How did this street get it’s name in the first place? Balm was such a precious healing tool in Old Testament times . Probably the most recognized balm referred to in the Bible is the balm of Gilead. As I continued my research, I learned that Gilead was a very mountainous region. It is described as a “hard, rocky region”. The Hebrew word for balm (Strong’s Concordance #H6875) comes from an unused root word meaning to leak. Never has this balm had more meaning in my life then it does now, as I go through my first year without my husband. As we approach Easter and I meditate on the sacrifice that the Lord made for us so that we could have a beautiful relationship with Him; complete with salvation, healing and deliverance, I covet that healing balm over my heart. Just like many of you, I am in a “hard, rocky region” in my life and I need Jesus to leak His healing balm over me as I walk through this grieving process. As a symbol of His love, the Lord sent a sister in Christ to me this week and she specifically prayed for the balm of Gilead to cover and heal me. I pondered these things about how Jesus is now our healing balm as I ran that day. I had a nice surprise at the end of the street (pictured below). Just when I thought balm st. no longer existed, there was a whole other area bearing the name that was alive and thriving. There were children playing and dogs barking and palm trees swaying in the breeze. It was a wonderful reminder for me that when something appears to be a dead end, there is always life and a new beginning on the other end of the street.